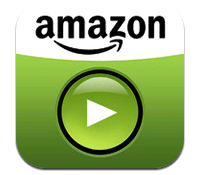 Amazon is to combine its Amazon Prime and LOVEFiLM Instant subscription services in the UK beginning February 26th. Amazon Prime offers members unlimited One-Day Delivery on over 7 million items and access to 500,000 Kindle books to borrow. LOVEFiLM Instant includes unlimited streaming of more than 15,000 popular movies and TV episodes. When the two programmes combine, Prime will be offered at the low price of £79 a year – a 35 per cent saving for all the benefits of the two previously separate services. As a special offer, for the next week only, new customers can lock in a full year of Prime at £49. Current Prime members can enjoy unlimited streaming at their current price until their renewal date. Customers who are not already members can start a 30-day free trial of Amazon Prime by visiting www.amazon.co.uk/prime. As LOVEFiLM Instant becomes Prime Instant Video, Amazon is increasing its investment in exclusive content and original programming only available through Prime. Members will have unlimited access to exclusive movies such as The Girl with the Dragon Tattoo, The Hangover Part II, One Direction: This Is Us, Friends with Benefits and Alvin and the Chipmunks: Chipwrecked, as well as TV shows such as The Walking Dead, Dexter, Vikings, Downton Abbey, Desperate Housewives, and children’s favourites Peppa Pig, Fireman Sam, and SpongeBob SquarePants. They will also have exclusive access to Amazon original TV series Alpha House at launch and Betas, which débuts soon. Prime members can watch movies and TV shows on hundreds of popular devices such as Kindle Fire, iPad and iPhone, Xbox, PlayStation, Wii, Nintendo and Samsung, Sony, LG and other smart TVs. Heavy competition in the UK subscription video-on-demand market: . LOVEFiLM has faced intense competition in the UK subscription streaming video sector, with the entrance of Netflix and NowTV, and the expansion of Sky, Virgin Media and BT’s on-demand services. This move by Amazon of bundling video with the wider retail offering will allow the company to alter consumer perceptions of its streaming offer, sidestep direct competition with subscription video rivals and bolster uptake of the Amazon Prime subscription service. A desire to duplicate the US success of Amazon Prime: Amazon had accrued more than 20 million Prime subscribers worldwide by the end of 2013 – the vast majority in the US. Amazon achieved significant growth in this market last year with Amazon Prime, in part due to its strong video content line-up via Amazon Instant Video in North America. Replicating this success in the UK and Germany, with video as a key pillar supporting Prime, will help to sustain Amazon’s wider retail business. The ability to offer a one-stop-shop for digital media: Amazon is already the leading ebook service provider globally and reinforced its UK and German music offerings with the launch of AutoRip in 2013. 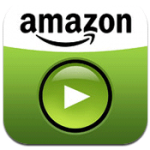 Alongside the relaunch of its subscription online video service, Amazon will begin to provide download-to-own and video-on-demand rental films – similarly to services such as iTunes and Blinkbox. By bringing its video content offer under the core Amazon brand alongside books and music, the online retail giant is attempting to position itself as the hub for digital entertainment in both the UK and Germany, encourage uptake of its Kindle Fire tablets and use its device and media presence to further strengthen its ecommerce lead.